The Test series between the West Indies and England has already been decided but there is a whitewash on the line when the two sides meet in the third and final Test in St Lucia, which gets underway on Saturday. West Indies have completely shocked England and have dominated them to this point and are a win away from an incredible 3-0 series victory. This tour has been bad enough for England as it is and they will be desperate for a consolation win. You just have to take your hat off and applaud the West Indies in this series so far. They have played some really good cricket. You can argue the opposition haven’t been up to much and that argument would be true but some of that is because of the pressure Windies have had them under, and for that they deserve the utmost credit. They have been solid if unspectacular with the bat but what they might have lacked in flair with the bat for the most part, they have more than made up for with the ball. They have been fantastic in all four innings that they have bowled in. They have bowled with heat and quality and when they have had England under pressure they haven’t done anything silly to release it and let them get away. You would have to say that England have been pathetic in this series. It started before a ball was bowled in it when they completely read the pitch in Barbados totally wrong and in truth at no stage has it really improved. There have been the odd flurry of wickets when they have been in the field but the worst thing about both matches is so far, is at no stage from their commencement have you thought England were going to win either. England have been unable to keep the pressure on West Indies in the field and the less said about their batting the better because that has been truly abject. It is almost impossible to believe how terribly they have batted, not just once, but four times in the series so far. If this was meant to be a confidence booster ahead of The Ashes then it has backfired completely. West Indies will have to do without their captain Jason Holder for this contest as he has got himself suspended due to a poor over rate in the first two matches. Kraigg Brathwaite will skipper the side in his absence. Keemo Paul or Oshane Thomas will come in for Holder. England have already confirmed that they have dropped Ben Foakes so Jonny Bairstow is expected to take the gloves and drop down the order. That means Keaton Jennings is expected to be recalled with Joe Denly the latest incumbent to that poisoned chalice number three position. Chris Woakes is injured and Ben Stokes faces a fitness test. This ground in St Lucia is not used to seeing much Test cricket. There have only been six Test matches held here before this one with four of those ending in draws. West Indies have won one and lost one of the other two. England will be playing red ball cricket here for the first time when they come out to play this match. A combination of high scores and indifferent weather have led to the amount of draws here in the past. The pitch looks to have plenty of grass on it in the lead up to the match but should be the best cricket wicket of the series. Given what we’ve seen so far, expect it to have loads of pace and bounce in it for these West Indian quicks. I’ll go with a couple of bets for this match. Kemar Roach has a performance line of 110.5 for this match which I don’t think is beyond him. He comes in here off the back of a match which totalled 166pts and he scored 100pts in effectively one innings in Barbados with Roston Chase taking eight in the second innings. I don’t see spin playing much of a part in this match so the West Indies seamers will be expected to get the job done. With Holder out of the picture, Roach is likely to get even more of a workload and six wickets isn’t out of the question for him here. Roach has played two Test matches on this ground and has six wickets in each of them. A repeat of that gets the job done for us here. I don’t remember England batting as poorly as this for an entire tour for quite some time and as a result the 33/1 on Sam Curran to be the leading England batsman is a potential sacrifice worth making. The danger is that he runs out of partners but if he doesn’t do that then we’ve seen throughout his Test career that he can bat. Only three of England’s 44 batting efforts in this series have seen a player pass 35. We have to bat Curran here. 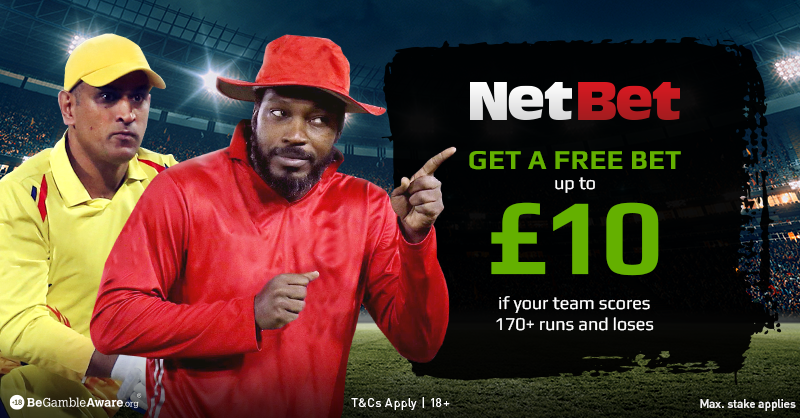 Be the first to comment on "West Indies vs England – 3rd Test Betting Preview"